Spritz yourself with gin and get ready for some liquid nitrogen: Drinking at The Bazaar is like seeing a magic show. 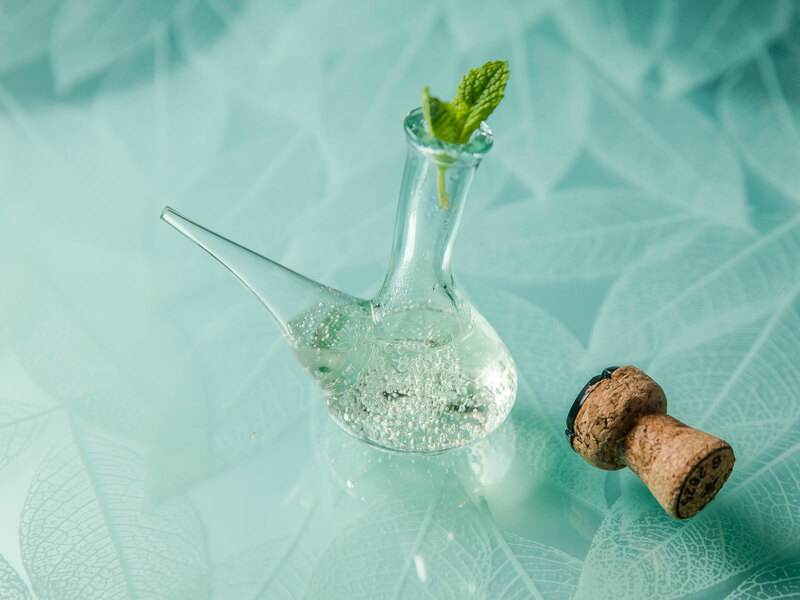 We totally understand if you’re a little tipsy by the time the Mini Porron arrives at The Bazaar by José Andrés in L.A. So please be careful when you hoist the porron above your head and slowly pour cava into your mouth. The Mini Porron comes at the end of the new six-drink Bazaar Bar Flights. As you’d expect at an Andrés restaurant, the one-hour liquid tasting ($55) is loaded with high-degree-of-difficulty specialty cocktails and includes some interactive elements. 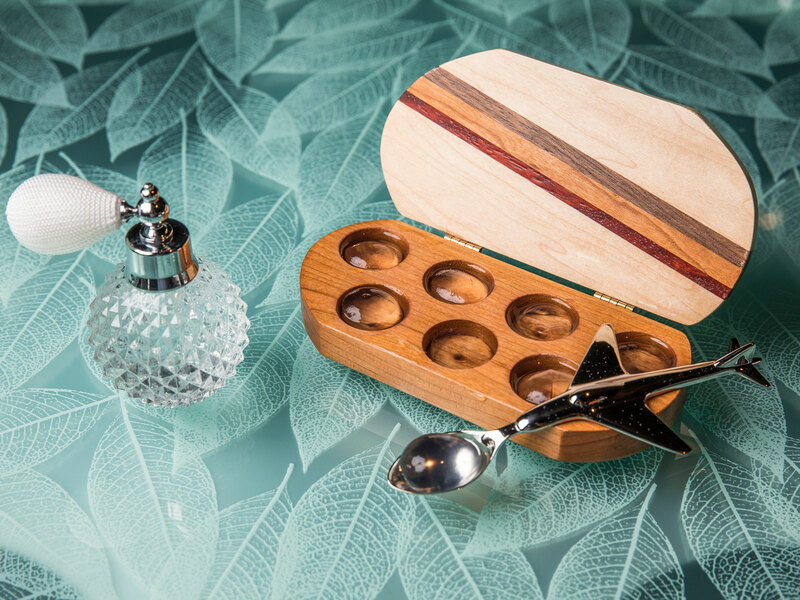 The fun at the restaurant’s 12-seat Bar Centro starts with G&T Spheres. You spritz gin into your mouth with something that resembles the perfume bottles department-store employees brandish. Then you get a little spoonful of a cocktail sphere. If you’re a cocktail geek or someone who’s fascinated by science, you might enjoy knowing that the sphere involves using a Cryovac process to remove air bubbles and then using an iSi cream whipper to put bubbles back. Like what Andrés does with food at The Bazaar and Somni inside the SLS Beverly Hills hotel, there’s a lot of highly specific work involved in making something this whimsical. Eating and drinking at The Bazaar is like seeing a magic show. In the case of the Bazaar Bar Flights, which required almost three months of training for the staff, the delightful menu weaves in liquid nitrogen with its LN2 Caipirinha. 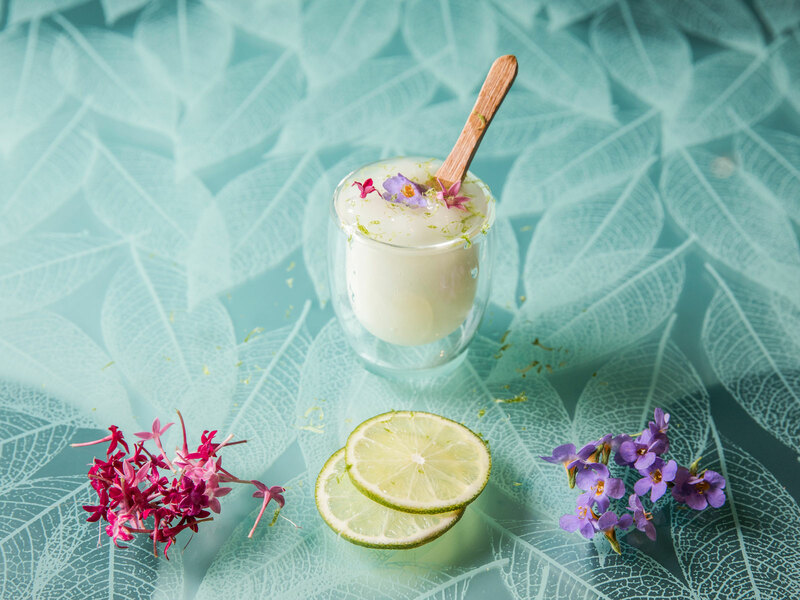 There’s a Ramos Gin Fizz with egg-white foam that rises well above the rim of the glass, the result of about eight minutes of vigorous shaking that’s followed by putting the drink in the freezer for a couple minutes, Gomez says. There’s Ben Franklin’s Milk Punch, which is indeed based on the Founding Father’s recipe. The Bazaar lets lemon zest and Spanish brandy commingle for 24 hours before an arduous process that includes boiling milk and then straining the punch eight or nine times. And all you probably need to know about a wonderful cocktail called Smoke in the Water is that it’s a Scotch drink that involves fruit and fire. Like with a magic show, sometimes it’s better to savor the moment without trying to figure out the trick. If there are certain spirits you dislike or something you really prefer, just tell your bartender, who’ll be happy to customize your cocktail tasting. Don’t want to end your visit with sparkling wine? You can have that switched out and get the porron filled with Spanish beer and a splash of lemon instead. Expect to see some new cocktails on the tasting menu as things progress and seasons change. For now, Bazaar Bar Flights are only available at Bar Centro, but this might expand to other parts of the restaurant. What they’ve landed on is L.A.’s wildest new cocktail experience, something that’s both playful and potent. Again, make sure your hand’s steady when you’re holding the porron.